During Eco Week we completed the Daily Mile, got aboard the Walking Bus, enjoyed a Move More Day and got practical with a Paper-Free Day. It was great fun. Our choir had a wonderful experience performing at the Peace Proms. 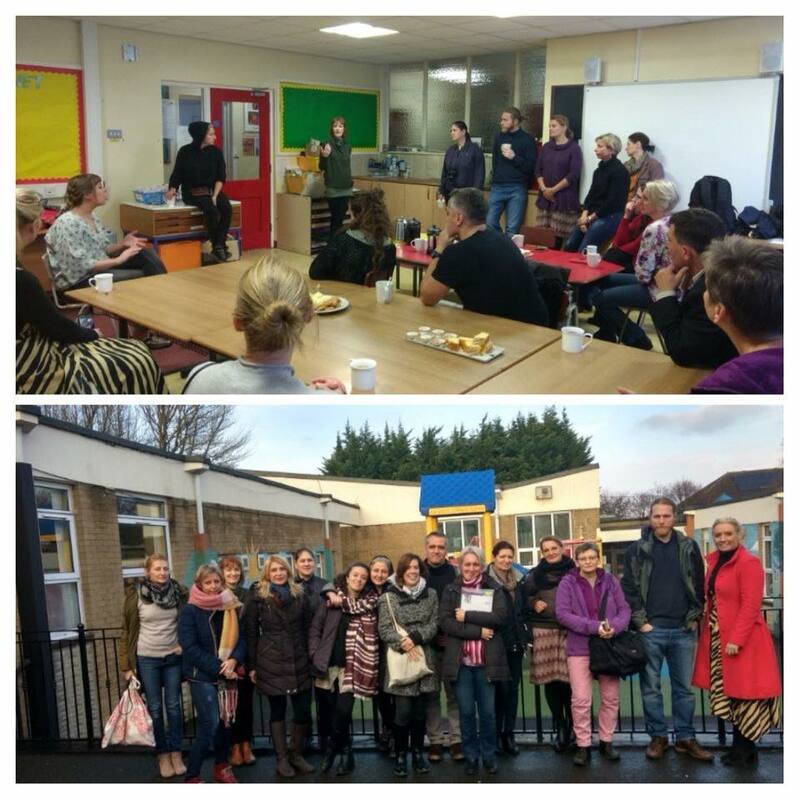 We were delighted to welcome 17 visitors from Hungary and Sicily to our school in November. We were chosen as a PATHS Model School to showcase some PATHS lessons. P3 also took a wonderful assembly on feelings. Our visitors were very impressed with our pupils. 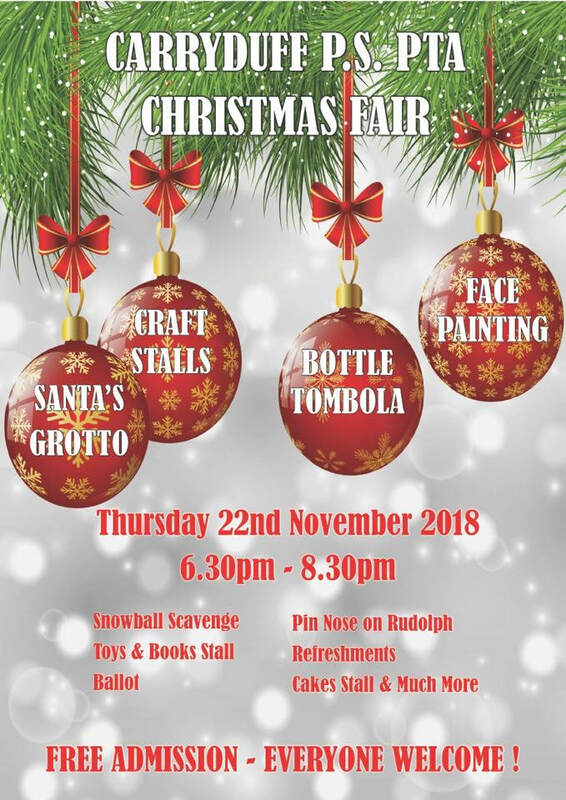 The support from the community was tremendous for our early Christmas Fair, thank you. 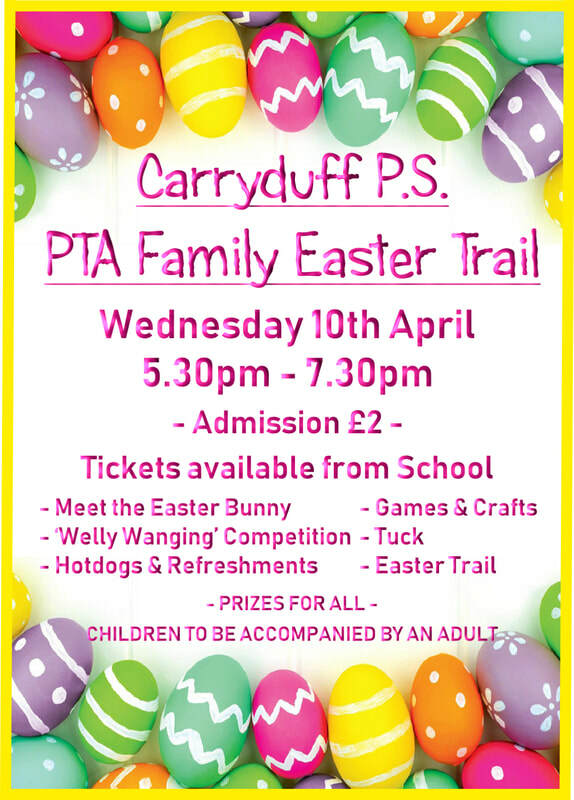 The PTA worked very hard to organise and co-ordinate the event and are delighted that over £1900 was raised. 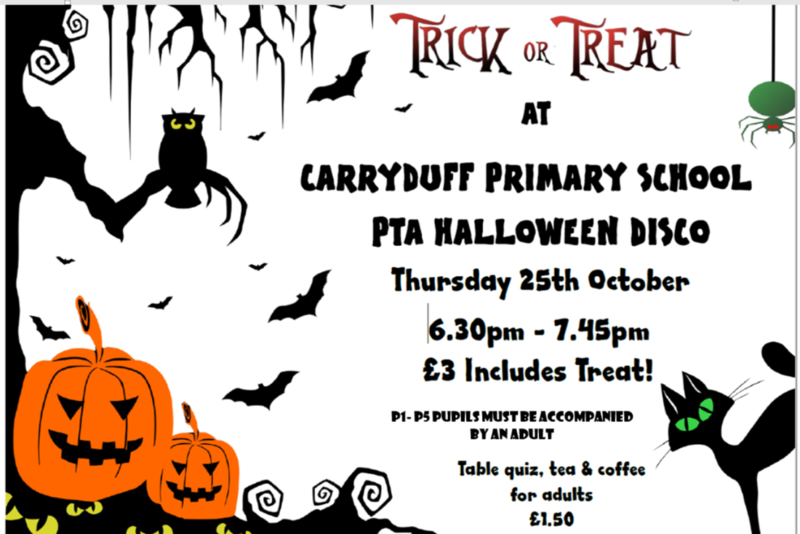 We had such fun at the PTA Halloween Disco dancing the night away to some big tunes. Thanks to Cindy for being a superb DJ as always and to the PTA for organising it all. We loved our goody bags. There are loads more photos under the Photo Gallery tab. 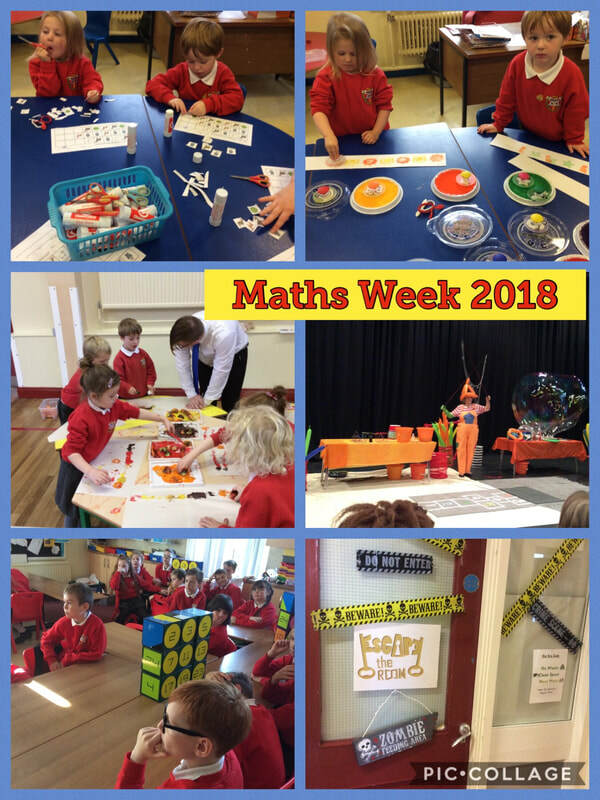 We had tremendous fun during national Maths Week. Our maths co-ordinator, Mrs Magill, organised a Maths Fair for P1-P4 pupils. They measured, printed patterns, used IZAK9, solved puzzles on the iPads and built structures. Our P5 - P7 pupils had to solve maths problems in order to acquire digits allowing them to break out of the specially prepared Escape Room. P4 visited Stranmillis University College for a Bubble Maths show and P6 travelled to W5 for Maths Magic. 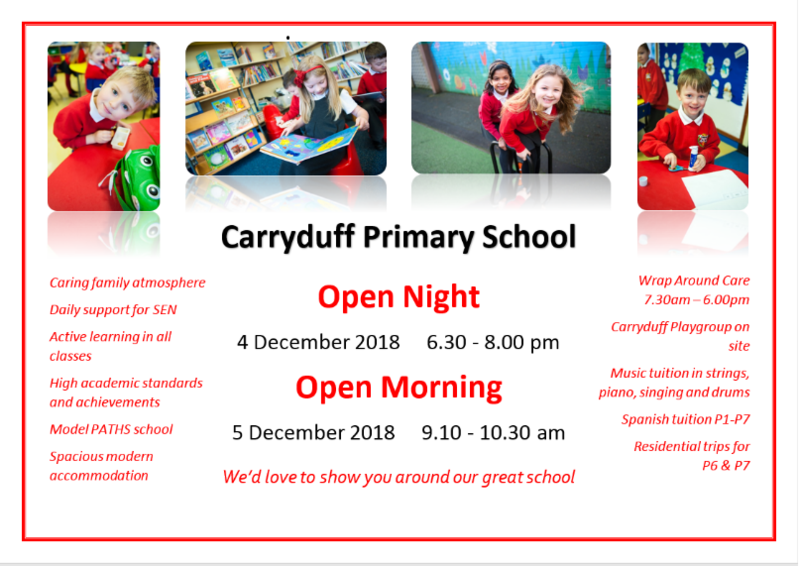 A parental survey has been commissioned to look at primary school provision in the South Belfast and Carryduff Area. Some schools in the area are at, or nearly at, capacity and others like ourselves have spare capacity. The Education Authority wants to plan for future provision, therefore it is important that our voices in CPS are heard. There are several Parent Workshops planned for October as detailed across. Please sign up and turn up to have your say. 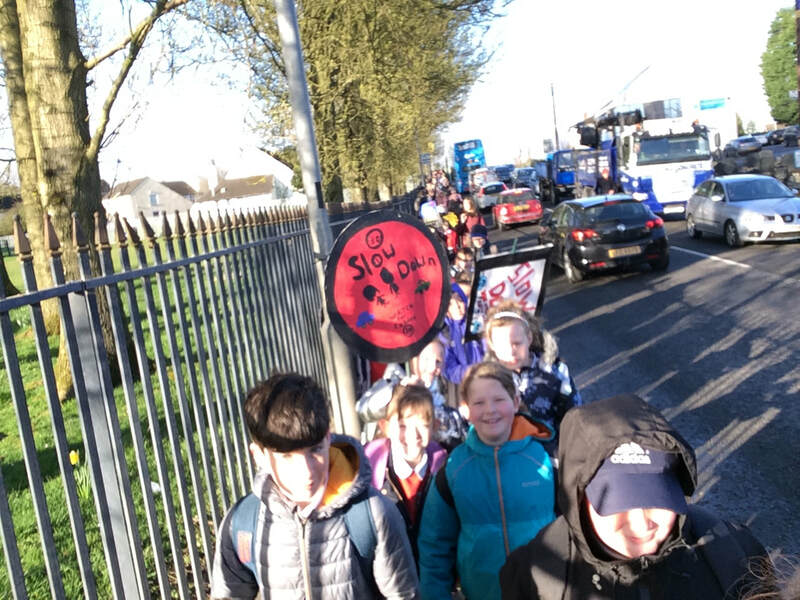 A host of walkers joined our Walking Bus from the Shopping Centre to school; we think it's the longest one yet. It was a lovely morning for it and we enjoyed the healthy breakfast awaiting us in school. Well Done to our talented musicians who all passed music exams at the end of last term. Drums, singing, violin and piano - we are a talented bunch! Our last year's P7 are missing from the photos.